It’s off-season at the Jersey shore. The boardwalk belongs to the locals–including Rosie and Skate, sisters who are a year apart in age but couldn’t be more different. Rosie’s fifteen, shy, and waiting for her life to begin. Skate, sixteen, is tougher and knows what she wants. Rosie still believes in their widowed father, a likable drunk, who is spending a few months in jail for petty theft. Skate thinks he’s hopeless and nicknames him the Old Crow, after the whiskey he drinks. Rosie wants to experience her first love and is drawn to Nick, a boy in her support group. Skate and her boyfriend, Perry, are madly in love–inseparable. But this fall Perry goes off to college, leaving Skate behind. There’s no Dad. No Mom. Just their home, a falling-down Victorian on the beach, with a cousin to look after them. 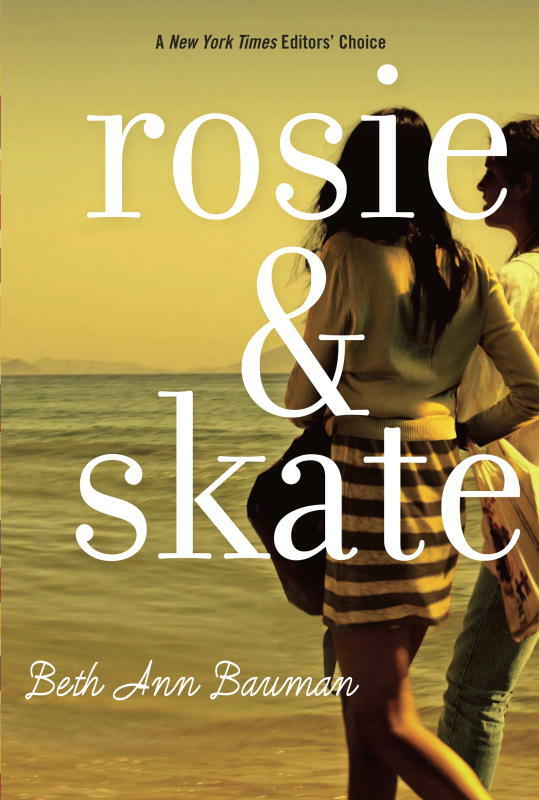 Ultimately, Rosie and Skate must count on each other.